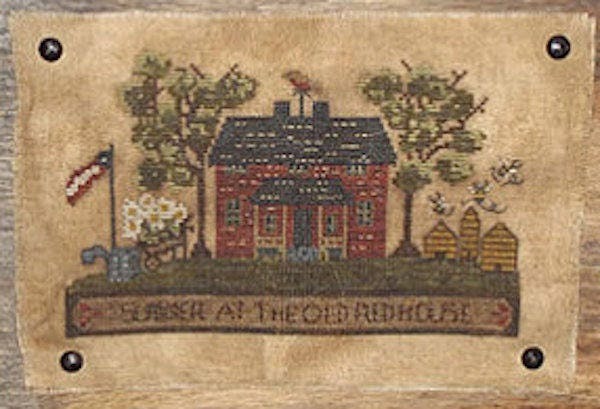 "Summer at the Old Red House" Cross Stitch Pattern by Kanikis Prims & Whims. Finished size apprx. 8 x 5 inches on 32 count linen. Stitch Count: 128 x 78.